Have you seen Pirates of the Caribbean?... Well here’s Pirates of the Mediterranean. 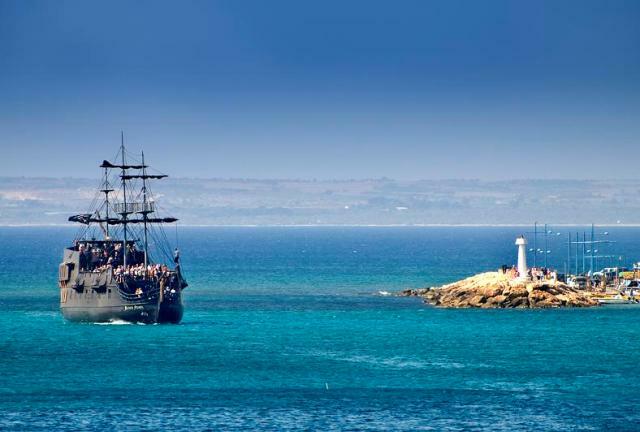 Come aboard the Black Pearl pirate ship and get yourself ready for a fun filled sailing at the hands of the pirate crew. This is undoubtedly the best themed cruise Cyprus has to offer. Captain Jack Sparrow and his team of pirates will entertain you and your family throughout the day. The Black Pearl Pirate Ship is a 3 level family orientated cruise, which is fun for all ages. Swashbuckling entertainment on board includes a canon and pirate show, a treasure hunt for the kids and loads more family fun. 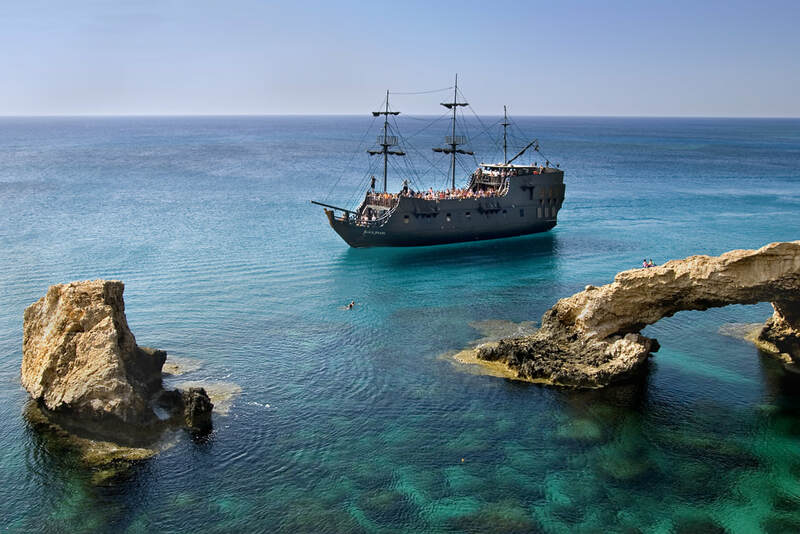 The ship sails along the east coast of Cyprus where you can view the Ayia Napa sea caves, Cape Greco, the dazzling Konnos Bay and the beautiful Fig Tree Bay in Protaras. Take a swim in the crystal clear Mediterranean sea at one of the swimming stops or relax on board whilst admiring the stunning coastal landscape. Lunch is included so you can feast on a sumptuous pirate themed buffet of roast chicken, roast potatoes, rice, tzatziki and coleslaw. Hotel Picks ups Starts at 09.45am from hotels in Protaras and Ayia Napa. and return hotel drop offs are up to 3.45pm. ​Your exact pick up time will be advised upon confirmation. Childrens Prices: Ages 13 and over pay adult price, ages 2-11 pay child price, ages 1 and under go free.